Ready to Rawk – Paul Aitken. Guitar. Crybaby Wah (modded)>Boss CS2 Compressor>TC Polytune Mini>Line6 M5>Fulltone Plimsoul>Ibanez TS9DX>CAE Boost>Line6 M5>Boss DD3 Delay>TC Ditto Looper. Plus, an expression switch for the two M5s. 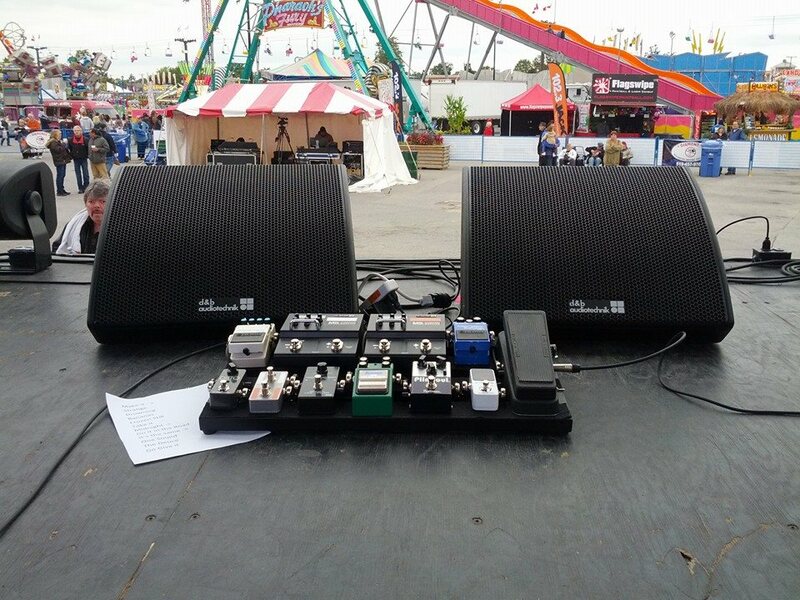 Posted in General and tagged #rig, Music, rocknroll.